Chuck Close was born 1940 in Monroe,Washington. In 1962 he received his B.A. from the University of Washington, Seattle, and in 1964 his M.F.A from Yale University, New Haven. After a Fulbright grant in Vienna he worked as an art teacher at the University of Massachusetts. A spinal artery collapse in 1988 left Close almost completely paralyzed. He lives and works in New York. 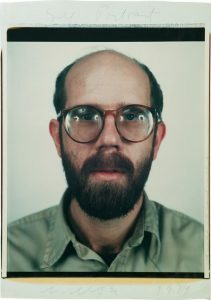 Familiar faces: Chuck Close in Ohio Collections, Akron Art Museum, Ohio.